Since few years ago. TTPlayer,千千静听 had become cheap MLB jerseys my favorite and the only audio player i use! Now TTPlayer has come out with new version. Get the update already? Or else this is a good chance to try Ari out my favorite audio player! My reason is pretty obvious. It is because it comes with a lyric player, I can sing along or get know what Jay Chou is singing… HAHA! Converting features available in the player itself! The sound quality is pretty good, in my opinion the sound quality can be as good as Winamp or even FooBar2000 [view comparison article or Google It!] The sound engine is unique and hardware supported. Can category as Portable cheap MLB jerseys software, because it didnt write any string in your Registry. cheap nba jerseys You Hello can move your software anyware without installing it and you still can use it! But at this time, there is wholesale mlb jerseys only Chinese version available, no English translation available yet! but it is definitely super easy to use! You can have a try. REMEMBER, the english song cheap jerseys lyric database ?????????? also impressive! *Download Links Updated. A newer version Impressum of штор TTPlayer available for download HERE! Give a try, You will like it! Please comment about what is your favorite media player / audio player. DO you try TTPlayer before? How do you feel. i will try to figure it out and reply to you soon! i think its a long way to go since im not good in programming yet. 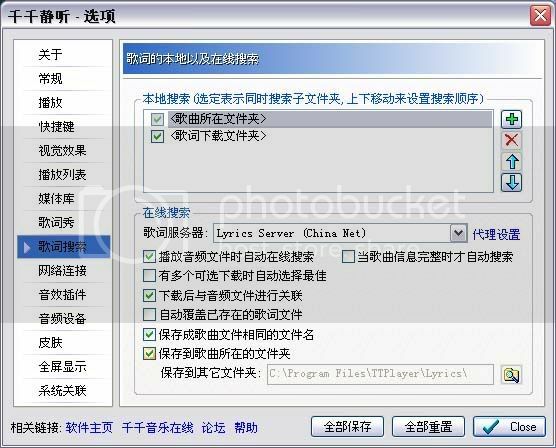 maybe u can read the forum of the software,then u will know how to upload ur own lyrics. can i noe y i can’t run da TT Player Setup? Pls help..Tq..
halo, why i cannot download the ttplayer beta? one box came out stated that this file setup is not a Win 32 application. thanks for helping. i think the file on my server is corrupted or somewhere got problem. i will check and see. sorry, type wrongly, i can download but i cannot pay the file setup. Great program, the chinese is not easy to learn but i was put more than 200 lyrics, its easy. oh man,is this an english version? I have installed TTplayer and it’s running like a charm with the lyrics. But one problem I’m facing is that it wont store the lyrics file into my computer , I hope you can teach me what kind of setting I can alter. If you really want to have some thing like ttplayer, I strongly recommend you all to move to minilyric, that’s a cool, awesome program that I love very much! and of cos not as powerful as TTPlayer. the only thing good is its in english and the database is larger (but not well organized as well). And you still can use your favourite media player with it. IS there English version for TTPlayer? I still finding a way to translate it to english! i can’t understand chinese,,,that’s why i can’t use it properly?! ?..wanna learn,,,can u translate the buttons for me so i can know what to click???..thanks!!! I have been using ttplayer for a while now and it always auto dl the lyrics for me. But now it stopped working, any idea? If reinstall then all my current lyrics ma gone d? sorry,i can a little chinese,so i can more english,thanks. can nokia 5610 can download the qian qian jing ting function…? go google search and u will get it. Hey! please english language ttplayer Help..